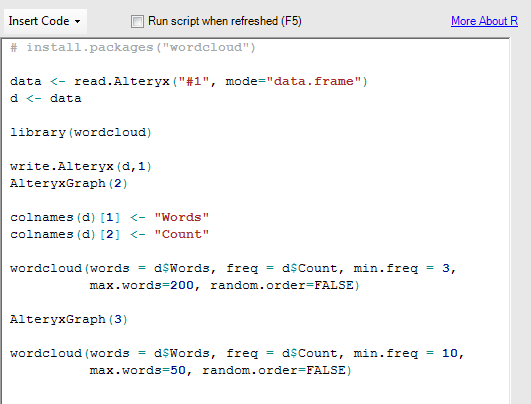 In a previous post, I explained how to build word clouds easily with a combination of Alteryx and Tableau. But what happens without Tableau? 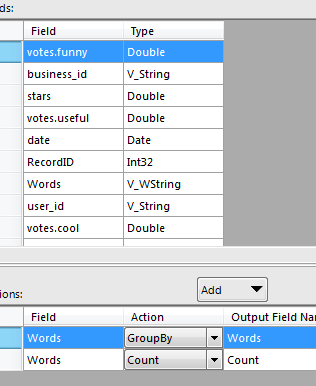 It turns out that Alteryx can leverage the power of existing R libraries to easily generate pretty nice word clouds too. I realized that potential after completing my previous post, thanks to the great work of Dan Magnus, who posted an Alteryx app you can use for free here, even without Alteryx. Nevertheless, if you want more control, you should learn how to build your own workflow, and benefit of extensive controls on your output. 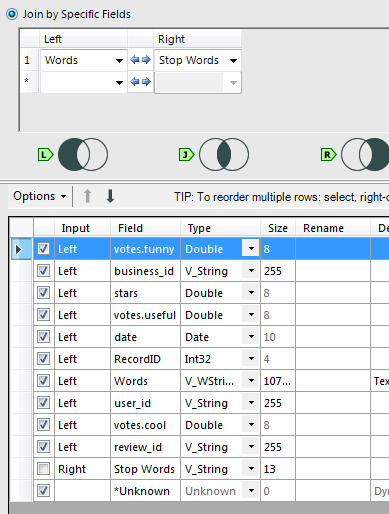 I will start the walk through from the same workflow built on the previous post for Tableau and slightly modify it. 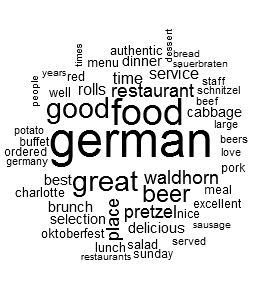 This entry was posted in Alteryx, Automation and tagged Alteryx, R, word cloud. Bookmark the permalink.